As I mentioned in the post about the shutter speed, aperture is one of the three basic components of your camera. Apart from the other photography basics like the rule of thirds, it is a technical aspect. Which means, it’s a part of photography where you need to serve your camera properly, and not about things happening beyond your device. So what is the aperture? 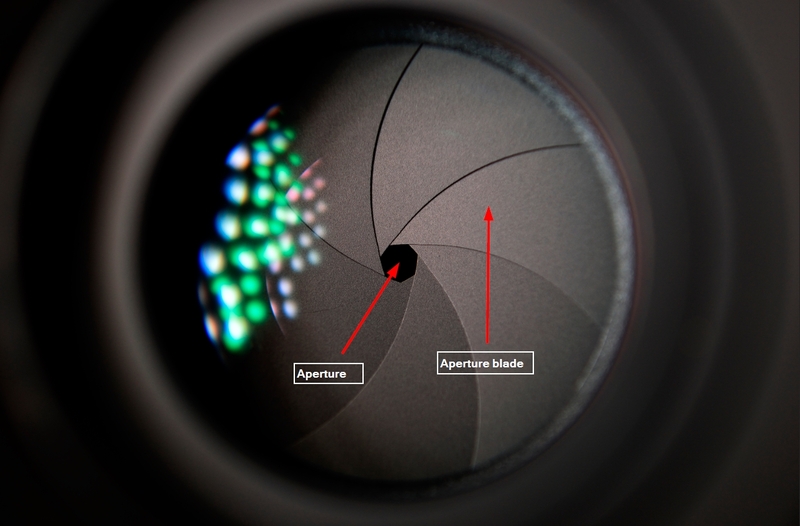 The aperture is the opening in the lens that allows light go through onto the sensor or film. Actually, you can compare it with an eye. What a pupil in an eye is, is the same in the camera. When you look through the lens of the camera, you will see a set of blades which can widen and get smaller. The hole which these blades are forming, is the aperture itself. The blades which are open and close, they can be compared to the iris in the eye. The larger this hole becomes, the more light gets through it, which gets an effect onto your shutter speed. Because more light allows you to shoot with a higher shutter speed. As you can see, the control of the aperture is another way to choose how much light will reach the sensor of the camera. But not only that; Changes in the aperture also change the effect of your photos. It’s because the size of the aperture determines, if the background of the image will be sharp or blurred. For example, take a look at the picture below. I made it with a pretty small aperture. The effect of it is that the foreground (the bunny) and the most parts of the background is sharp. Only the right parts of the round box and the wooden box are a bit blurry. This effect is such minimal that you need to watch pretty thoroughly to see this. But if you widen the aperture and take then the photo, the background will be quite blurry (see the pic below). This effect is called “depth of field” or “depth of focus”. The term “depth of field” is often shortened by photographers to “DoF”. But not only that. 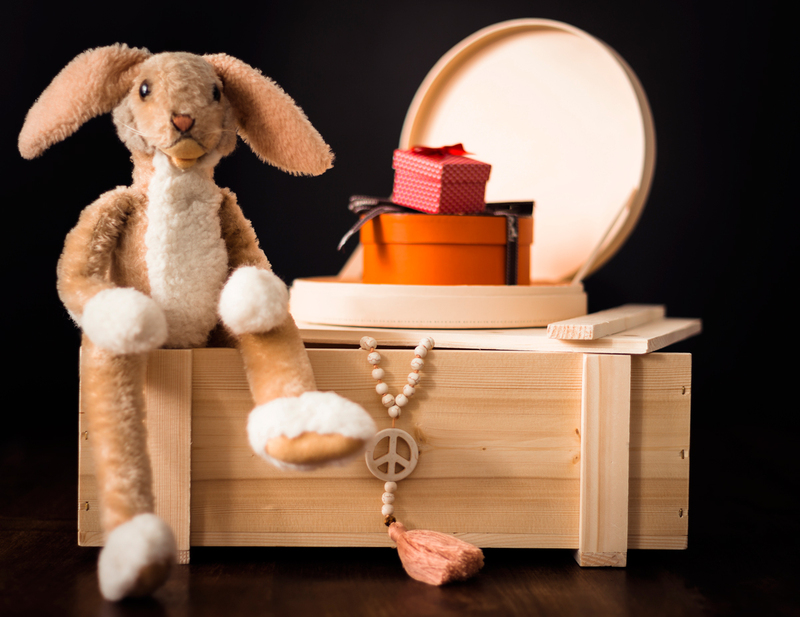 If you place your camera close to the subject (in this example the bunny), then even a lot of parts of the subject itself would be blurry. I made both pics from the distance of about 1,20 m (apprx. 4 ft). Taking the pic below, I opened the aperture as wide as the lens allowed me to do this (Canon 50 mm lense*). As a result you see now clearly that the background is very blurry, and also some parts of the bunny, e.g. the feet and the “hands”. Even the most part of the face is not really sharp (You would see the difference reading this article on a bigger monitor). In this case we have a very small Depth of Field (DoF). To sum it up: a small aperture lets less light into your camera but it causes more DoF the smaller it becomes. On the other hand, the larger the aperture becomes, the more light can reach the sensor which ensures that you can make photos with a higher shutter speed. But the “price” of a large aperture is a blurry background (or even a blurry foreground if you get too close to the subject). But don’t worry, a blurry background is one of the most impressive things in photography and a lot of photographs love it. It even has its own name – bokeh. Bokeh is a term for exactly this situation when the subject in the front is sharp and the background very blurry. This technique is e.g. used in portrait photography, close-up photography and of course, the macro photography. How to read the aperture size? In the explanations above I don’t mention the aperture size, but we will do this in this section; the aperture is written in that way: f/22, f/18, f/11, f/4, f/1.8 and so forth, whereas the “f” stands for “focal length”. That’s why photographers are speaking about so-called f-numbers or f-stops. But there might be an irritation about the f-numbers. A lot of people consider the whole expression, e.g. f/22, as the f-number. But that is not correct. Actually, only the number behind the fraction line is the f-number. Just keep it in mind when you speak about f-numbers, folks. D stands for “Diameter of the entrance pupil”. To get the D-Number, you would need to take a ruler and measure the diameter of the entrance pupil. So when you take a focal length of 50 mm (f) and divide it by the D, you will get one of those numbers photographers are speaking about (N). And here comes the weird thing for a beginner. The smaller the number, the wider the aperture will be opened! As mentioned, for a photography beginner it might be irritating. But with the knowledge about the formula for f-numbers, you will understand this circumstance. Just do some calculation examples with the formula I give you, and you will see how it works. And dealing frequently with photography, this would be the most normal thing in the world of photography for you, folks. As a mnemonic you could use the following statement: the higher the f-number, the higher is the depth of field. The smaller the number the blurry would be the background. Before we end this discussion, we should take a look at one more thing. As we learnt previously, the aperture impacts the depth of field. But it’s not the only determinant, and there are other factors influencing it. The focal length and the distance to the subject also affecting the sharpness of the background. Those two terms are also known as the “magnitude”. But how do they affect the background? Well, the longer the focal length, the blurry the background will be. Also, the closer you bring your camera to the subject, the more blurry the background would be. What does it mean in combination with the wide opened aperture? Considering these facts, we can say in general that standing closer to your motif will produce less depth of field than standing farther away. And a longer focal length will increase this effect. Considering the interplay, we should differentiate the factors described about to get more concise: Although it’s an interplay between several factors which affect the depth of field, there are only two factors influencing the depth of field directly. It’s the distance to the subject and diameter of the entrance pupil. The other ones influencing the DoF just indirectly. There are three of them, and it’s the f-number, the focal length and the sensor size of your camera. Maybe it’s confusing for you as a beginner, for the whole topic about the depth of field is a big item of debate amongst the photographers. Therefore, I’d like to keep things for beginners as simple as possible. If you decide going deeper into the whole topic of photography, you will do some researches and it would bring you more clarity about those direct and indirect factors of depth of field. All right, I hope, I could give you an understandable introduction about the topic aperture. To learn more about it, I can recommend to you this book from Jim Miotke for photography beginners*. You can also read my other posts about photography basics, folks, to make your first steps into photography.